Springing Forward. Blogtoberfest Day 12. 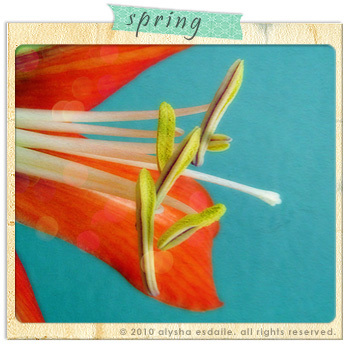 This afternoon I had a lovely time playing with my photos in Photoshop. The Lily above being one such photo. After titling it ‘Spring’. I thought about what I want to change and learn in this season of growth and freshness. There are too many things to list that I would like to change and learn to list them all, so I will stick to ones that more obtainable and immediate. I can always do another list! I want to learn to be more accepting, more comfortable with what I do and where I am in life. No more holding back because I am scared of what other people think, or worse, that I could never be as good as others so why start in the first place. Very self-defeating. I want to finally get more serious about photography and try selling prints of of my photos. I’ve held back till now because of fear of failure and also, not wanting to have someone steal my work or claim it as their own. But if no one ever sees the photos that I take, they lose their value. I would like to learn how to draw, both with paints and canvas as well as digital illustration. I have plenty of paints, watercolour crayons and ideas; I just need to start. I have dabbled with the older version of Terragen in the past and really enjoyed it. Now that there is a much newer, more advanced version, I want to learn how to use it in more depth. 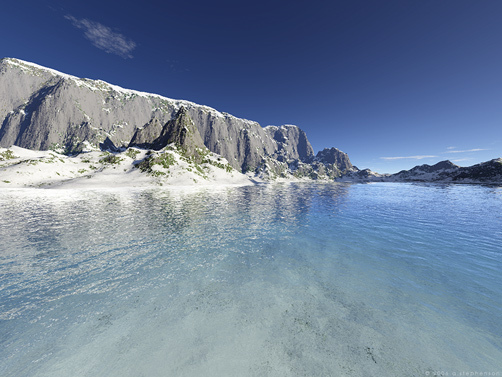 One of my images from Terragen is at the end of this post. When I was much younger, in my late teens and early twenties, I used to enjoy writing and coming up with short stories. As I got older, I lost my confidence (I can see a pattern developing) and stopped writing. Time to dig out those old stories and get back into writing. I would be over the moon if I could stop being so disorganized. Not to mention scattered in my approach to things. I know I will never be one of those perfectly organized people, but I would like to be better at it than I am. Being able to find things easily would be so wonderful! To start, I should create a filing system for myself. I think that is enough to be getting on with for now, don’t you?! Writing that list highlighted just how much my confidence in my abilities (or lack of) has affected my life, particularly in terms of creativity. I want to go back to having that wild, carefree abandon in creativity that I used to possess. Deep down, I know I still have faith in myself somewhere, I just need to nurture that tiny flame and help it become a fire once again. An ocean scene that I created a few years ago in Terragen.